Manager of Animal Training at Maymont – Anaka Nazareth. NOTE: This podcast was recorded in December of 2016. Consequently when myself and Anaka say “next year” we are referring to 2017. CLICK HERE to be taken to the ABMA (Animal Behavior Management Alliance) website – mentioned in the podcast. Anaka Nazareth – Manger of Animal Training at Maymont. Anaka Nazareth has always been passionate about animals, but it was not until she entered the Exotic Animal Training and Management Program at Moorpark College that she discovered her ideal career. 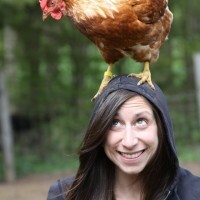 Having a fair amount of experience working with animals, but little to no experience training them, Anaka was immediately captivated by the science behind and application of positive reinforcement training, and she became dedicated to using this type of training to enhance the welfare of animals. 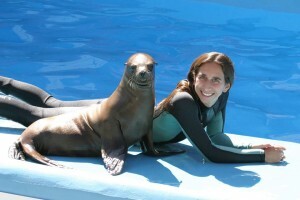 Upon graduating from Moorpark, Anaka took a position at Six Flags Discovery Kingdom in California where she worked predominantly with California sea lions, Pacific harbor seals, and Asian small-clawed otters. From there she travelled to Austria where she worked at the Animal Training Center (ATC) with a variety of animals ranging from marmosets and wallabies to horses and dogs. Training animals for wildlife education shows and teaching people about training through Chicken Camps were just a few of the opportunities that Anaka had while working at the ATC. Anaka then returned to school to obtain a Master’s degree in Animal Behavior and Conservation from Hunter College in New York City. During this time she was involved in multiple research projects studying wild dolphins, both in The Bahamas and in France, but her interest in animal training never lessened and positive reinforcement training became the focus of her Master’s thesis. All of this education and experience led Anaka to her current position as the Manager of Animal Training at Maymont, a zoological facility in Richmond, Virginia. 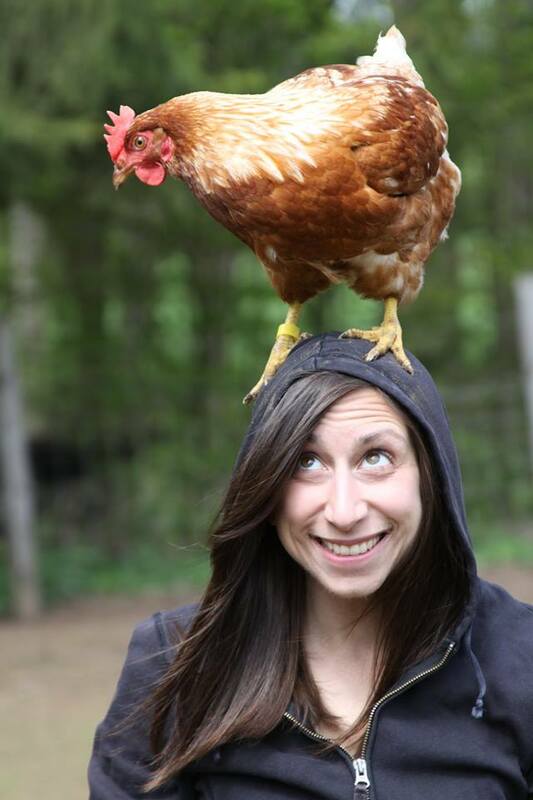 In this role, Anaka has the opportunity to facilitate the design and implementation of training programs for a wide range of animals, including black bears, bison, screech owls, and aquatic turtles, along with many others. Whether Anaka is studying or working, she strives to stay current in the animal training field and frequently attends conferences and workshops, such as the Animal Behavior Management Alliance annual conference, Karen Pryor’s ClickerExpo, and Steve Martin and Dr. Susan Friedman’s Contemporary Animal Training and Management workshop. On your attempt to train a bobcat monty to tolerate yearly vaccinations, I was wondering whether you tried applying the vaccination at a moment of great excitement. My experience as a vet showed pigs would tolerate a thick needle during feeding. I expect a feline will not similarly be focused when eating, but perhaps the moment before a prey is attacked or some other moment of great attention can be used to take the mind off the vaccination. Thanks so much for your question and your suggestion. The bobcat I am working with is very focused on his food when it is presented, and that is definitely what I was using to train him for the voluntary injection. I was attempting to use the method of training where reinforcement is contingent upon a specific behavior occurring (in this case, I was looking for calm behavior from the bobcat throughout the process of receiving an injection), rather than the method that some people call “distraction training” where the animal is fed and/or reinforced continuously to keep them busy while something is being done to them. The contingent reinforcement method as I was implementing it wasn’t working, though, so I will need to be creative when I go back to training this behavior. Thank you for encouraging me to think along different lines! Hi Anaka this is your cousin Mark. Was proudly showing your online pictures to Lola’s family here in Lebanon. Anaka wish you a very happy and Holy belated Christmas and wish you all the very best in 2019. Try to visit us inDubai in2019. I was very interested in your research with the hens regarding choosing positive reinforcement training sessions vs free food. Is this study accessible somewhere?